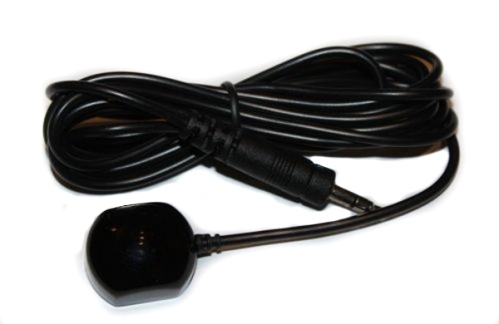 Control your Motorola, Cisco, Arris, Pace, or other cable set top box with an IR Remote Input Jack behind closed doors! There is no need to keep your set top box in the open. Your remote control can still work with an STB in the closet! Will work with boxes with "IR REMOTE INPUT" and "EXT IR IN" jacks (See model list below for a list or contact us for help. NOTE: This product is for Motorola and other cable boxes with a connection marked "IR REMOTE INPUT" or "EXT IR IN" only. Jacks simply marked "IR" are typically ir blaster outputs designed to control an external piece of equipment such as a vcr. If your box is not listed as compatable below or if you need to control multiple pieces of equipment in a single hidden location please check our pages on our Generic IR Repeater Page. for solutions that work with any box. Feel free to contact us if you need help selecting the best product for your specific application.